She will have a go-to flat everyday when she has the Report Alderwood dress flats! This style features a faux leather upp with woven braid panels at the sides and a bow accent at the toe. 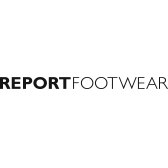 The Report Alderwood flats have a lightly cushioned insole and rubber outsole.